Enhance your kitchen area by adding the Patriot Kitchen Cart by Dolly Madison. This Kitchen Cart will provide additional space for your kitchen storage needs. Constructed of hardwood solids and engineered wood in a black finish with a 0.8 mm thick stainless steel top. Features include two adjustable shelves in each cabinet door, two deep storage drawers, towel bar, and spice rack. 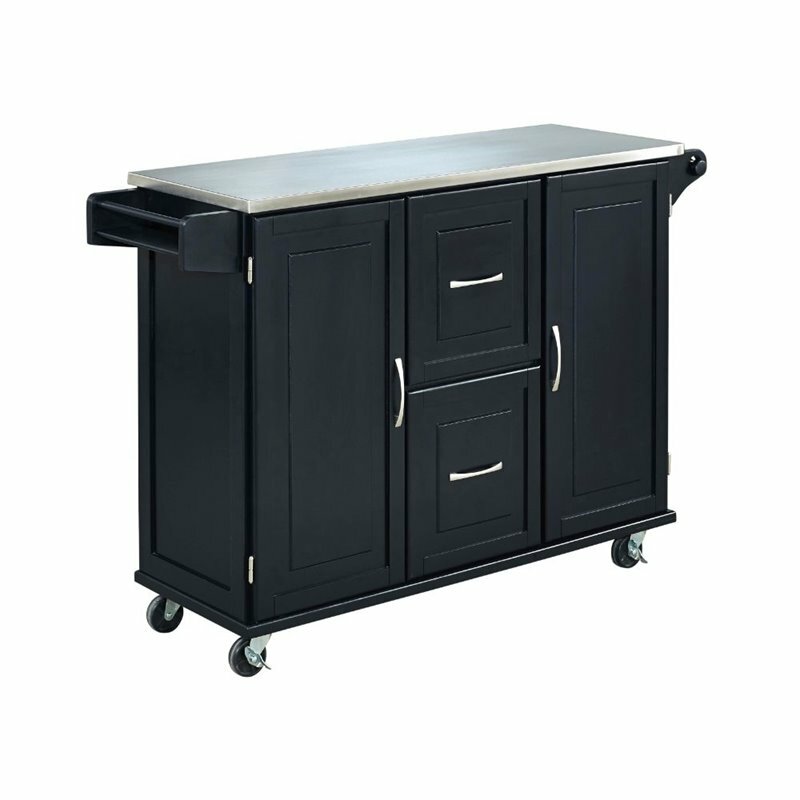 This versatile cart doesn’t disappoint by featuring brushed nickel hardware and two locking casters. Finish and measurements may vary slightly. Assembly Required.